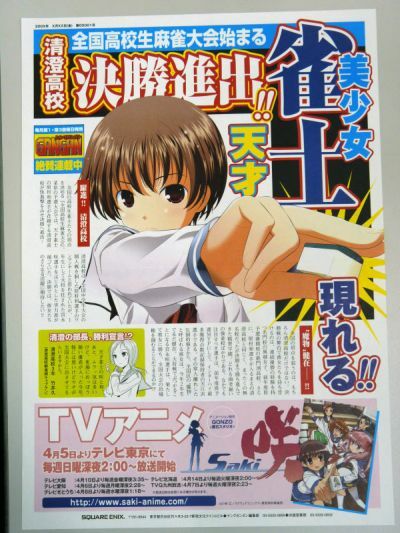 The anime adaption of Bishojo Mahjong Manga "Saki" produced by GONZO of Strike Witches' fame is to be aired from this April as we've repeatedly reported. 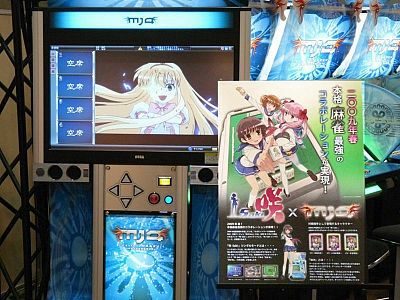 Today it was revealed that an arcade game adaption of "Saki" is in production, at GONZO's booth at Tokyo International Anime Fair 2009. 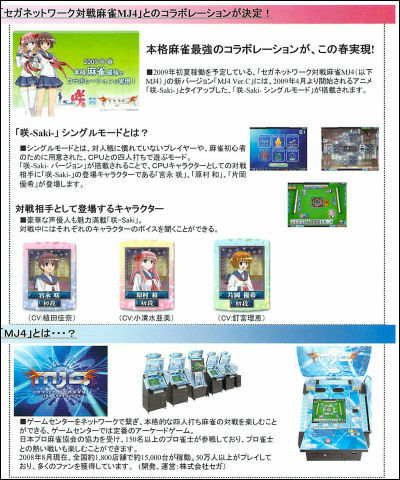 GONZO is collaborating with SEGA, and there will be a "Saki Single Mode" featured on "MJ4 Ver.C", a new version of arcade Mahjong game "SEGA Network match-up Mahjong MJ4". 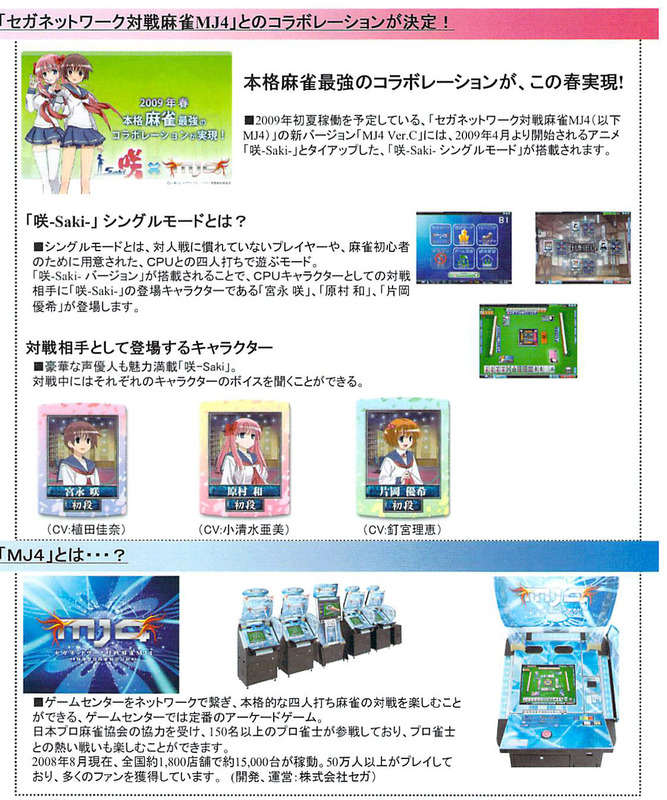 In the mode you can play with "Saki" characters instead of matching-up with opponents online. 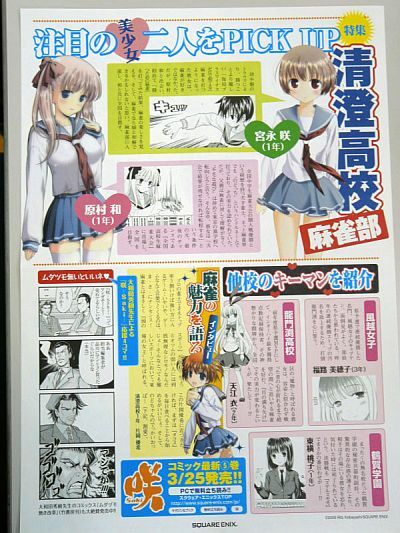 The characters are dubbed by voice actresses of the anime. 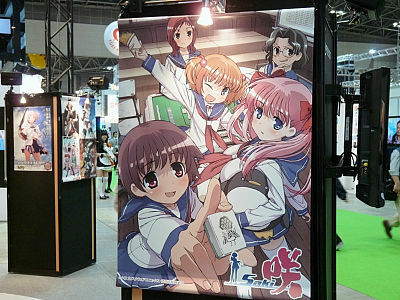 The console exhibited at GONZO booth.